Today, we work closely with clients, investors and communities in Europe, Australia, Asia, and the Americas to create better places – places that leave a positive legacy and inspire and enrich the lives of people around the world. Central Functions: roles available in Sustainability and Communications. *Please check the website for detailed information about each individual stream duties & requirements. Some relevant and demonstrable work experience is preferable, although not essential. You will be challenged to explore innovative ideas that will contribute to our business and make a positive impact on the communities in which we operate. Across all of our graduate roles we are looking for candidates with good interpersonal, communication and problem-solving skills, who are customer focused, display commercial acumen and have the ability to see the bigger picture. 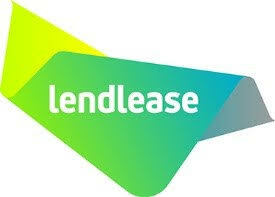 What do people say about working for Lendlease? Please be aware that we have two waves to our application process - 4/11/2018 & 3/02/2019. Please apply as soon as possible to be in with a chance for your ideal role.